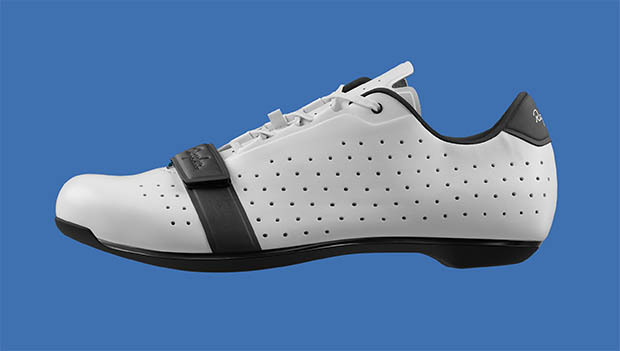 Just like bike technology, cycling shoe technology changes from year to year. The shoes get lighter, stiffer, more breathable and better fitting, and oftentimes last year's top performance features trickle down to more affordable current options. Some years are obviously better than others when it comes to new releases, but let's just say 2019 didn't disappoint. After seeing what's new for this year, you might just be trashing your dirty old trainers and installing some cleats on a fresh new pair before you know it. From knitted options to pro collaborations, we gathered seven new cycling shoes for 2019 from a variety of the top brands (and at different price points). Also, be sure to check out our 2019 Spring Cycling Kit Guide to see our favorite new jerseys and bibs. The P.R.O. 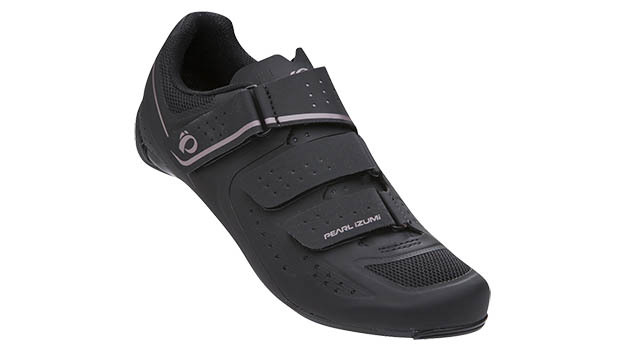 Leader v4 cycling shoe is Pearl Izumi's top shelf offering, and man, they're good. Not only is the seamless upper super breathable (making them the perfect summer shoes) and highly adjustable (dual IP-1 Boa® reels), but they're about as light and stiff as you'd ever need. The crazy-looking electroplated sole is the highlight of the shoe—the Carbon Power Plate maximizes power transfer (power rating of 13), and the low 5mm stack helps keep your pedal stroke efficient and strong. Women take notice: The White/Navy colorway is a show stopper. Everyone knows the better you look, the harder you ride, but with the Carbon LS-100 III, you can have the best of both worlds. 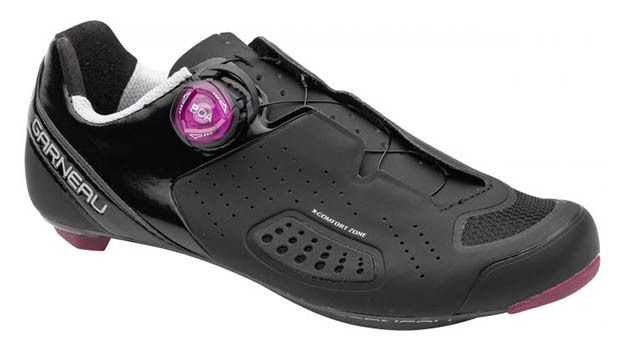 It's a serious update of Garneau's previous top-selling shoe, featuring the new X-Comfort Zone to account for foot swelling on long rides, and the industry-standard Boa® IP1-S closure system. Add the 205-gram weight and the carbon composite outsole, and this shoe stands out in a crowded market. We checked out the women's version of this shoe, but it's available for men too. They're the cheapest option on this list, but don't let that deter you—this update on the Select Road series packs a punch. While they don't have Boa® reels or carbon soles, the re-engineered upper is more comfortable than ever, and the nylon plate is just fine for weekend warriors logging serious miles. They look fast too—the low profile design and matte color palate will match just about any kit/bike combination out there. We included the bibs/jersey counterparts in our cycling kit guide , so why not round out the Peter Sagan x Specialized collab with his signature shoes too? They come in two different colors representing Sagan's more outgoing and subdued personalities, and both are different variations on his world championship rainbow colors. 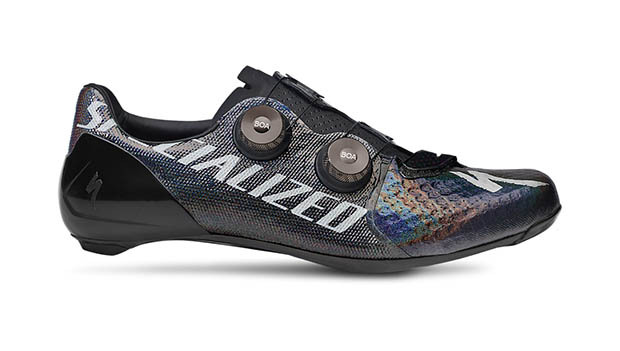 Colors aside, the shoes feature Specialized's stiffest and lightest carbon plate, a Dyneema® Mesh upper and even titanium alloy cleat nuts. 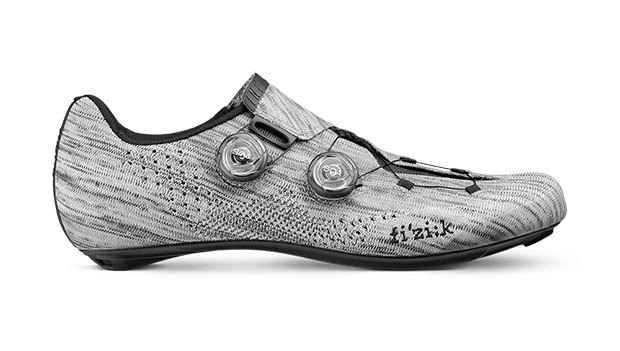 These are pro-level cycling shoes, and the price tag reflects that. These shoes are all about customizable comfort. 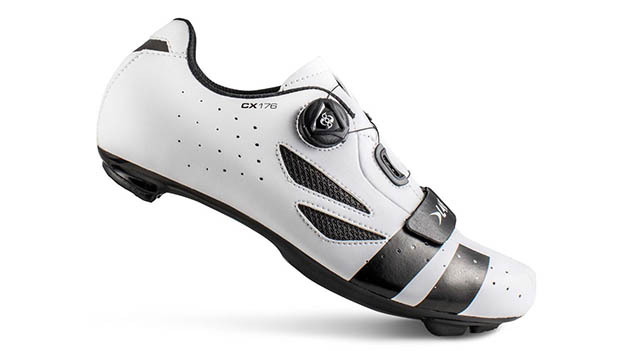 Lake has taken every effort to help the new CX 176 cycling shoes prevent any hot spots or numbness, which is accomplished by a precise toe box, high arch and mid-width ball girth (note that wide sizes are offered too). The Clarino Microfiber and mesh upper is a nice update, and the side-mounted Boa® L6 lacing system keeps your feet snug and prevents any unnecessary movement. Plus, the black-on-white colorway is just plain clean . Rapha has long been known for its minimalistic, thoughtful designs, and its newest version on its classic lace-up cycling shoes is no exception. The shoes have the look we've come to love, but include more practical features and updates without sacrificing the legendary comfort. The carbon sole is now protected by a TPU outsole to protect not only the material, but the rider from slipping too. In case you were concerned about their quality after being bought out, think again—they're currently outfitting EF Education First Pro Cycling with some of the best-looking (and performing) kits out there.